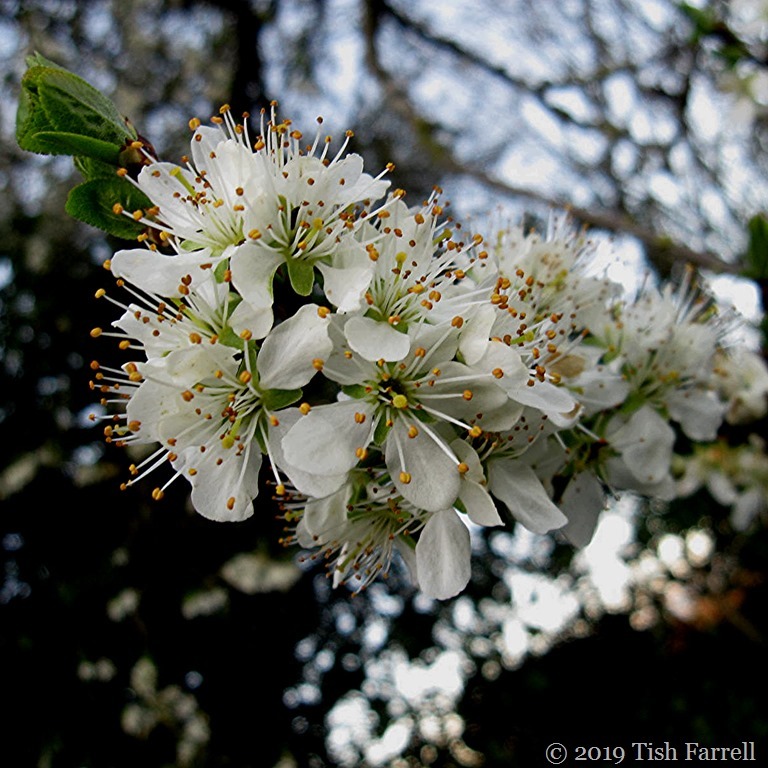 Here in Shropshire we are just this minute bursting with damson blossom. We also have our own variety – the Shropshire Prune, which has been around from at least Tudor times. The damson trees along the field boundaries and lining the country lanes are also reminders, or so local legend has it, that before chemical dyes were invented, damson growing was done on an industrial scale both here and in many parts of rural England, the fruit skins used to colour wool and leather. I’ve certainly seen old photos on a pub wall in nearby ‘Damson Valley’ of the fruit being harvested by the cartload and driven off to the local station. And whether for dyeing or not, there was certainly once a great demand for damsons in the commercial jam-making industry. These days people aren’t so keen on them, and each year the old tree at the allotment hangs in unpicked fruit. It is seems a great pity. Damsons are delicious, and they also make for excellent damson gin or vodka, so spreading their cheer through the darkest months. Chin-chin!